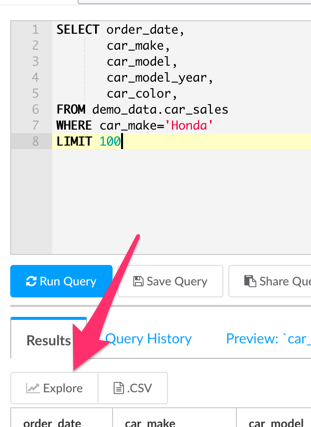 Write your query in SQL Lab with a static placeholder value for the filter. 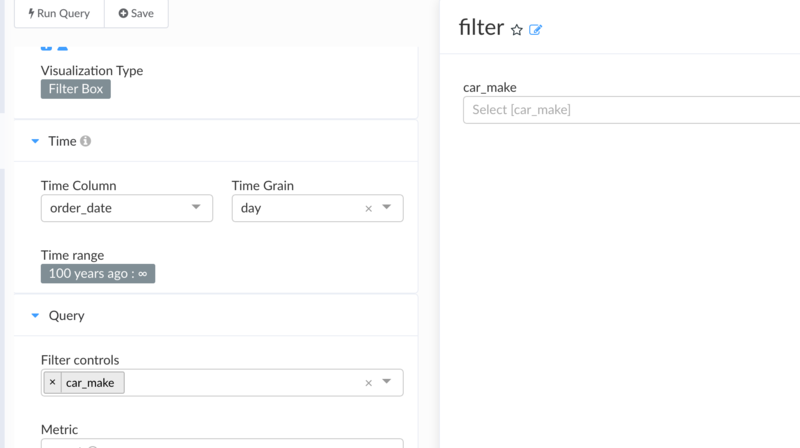 Run the query and click "Explore"
This will listen for dashboard filters with the name "car_make" and apply it on query level. Save the chart and add it to a dashboard. Save this filter box and add it to the dashboard. The filter parameter will be passed directly into the inner SQL statement. If no filter value is present, no results will be returned.